It’s the time of year when the sun is starting to shine and the British summer begins to make an appearance and when the sun comes out so too does the summer wardrobe. 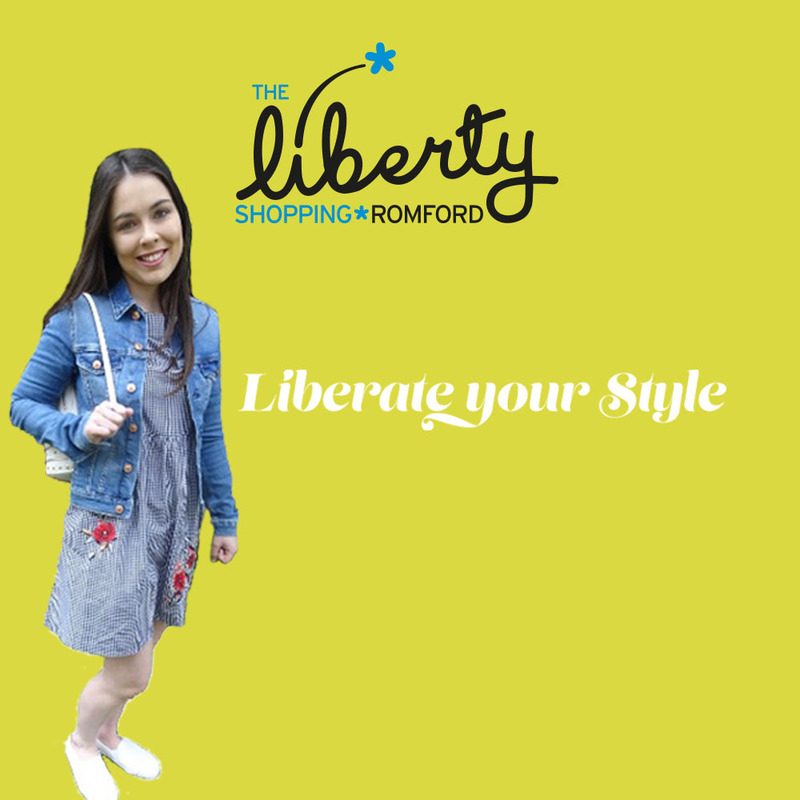 Looking through my wardrobe I thought it could do with a bit of a seasonal revamp so I went to The Liberty in Romford in search of the perfect summer look. I didn’t return disappointed. The Liberty has so many different shops under one roof so you couldn’t leave empty handed. What’s more, you don’t have to break the bank to find the perfect outfit, I got my whole new look for less than £100. I went for a look that was classic, yet still on trend. My look features some key current trends and I’m really happy with it. It is very me – pretty and girly. The key trend I went for was gingham. I absolutely love gingham a it’s so classic and so easy to accessorise. I went for a gingham dress with embroidered detail, which looks so pretty on and is easy to wear. This particular item was in the petite section which is perfect for me as I am only 5ft 1in. The dress cost just £29.99 from New Look and it can easily be dressed up or down. On this occasion I went for a more casual look. The summer in the UK can be a bit rubbish and although this dress looks great on it’s own, a jacket might come in handy. I went for an original style denim jacket as I bring mine out every summer. I got my denim jacket from H&M for £29.99. I will definitely be pairing this item with other dresses or playsuits over summer too. Now on to shoes, I again went very classic with plain white pumps as the dress has quite a lot of detail, and I didn’t feel it needed a pair of statement shoes. The pumps look so cute but effortless and were just £12.99 from H&M. I also saw similar shoes in River Island and Topshop whilst at The Liberty in Romford. Now onto accessories. I didn’t go mad with jewellery, I just brought one small gold necklace with an anchor on it. I felt the neckline needed a little something but I didn’t want to overdo the look – as they say less is more. I got my anchor necklace at H&M and it only cost £3.99 – a bargain. Finally, no look would be complete without a handbag, as I said I was going for a casual look and I came across the cutest white mini backpack. It wasn’t something I pictured with the outfit but I love it never the less. The backpack was from River Island and it was reduced to £15. There was still a few left so if you want one, get yourself down to The Liberty as soon as you can! I hope you like the look I created. The main thing is I absolutely love it and feel great in this outfit and that’s what we should all aim to achieve with a great summer outfit. Find out how our other two bloggers, Charnelle and Kristy, enjoyed their time at The Liberty now.